On January 18th, the elves of ElfYourself will be headed back to the North Pole, not to return until the next holiday season. With ElfYourself.com going offline, this also means that your ElfYourself creations will be lost, unless downloaded to your desktop. 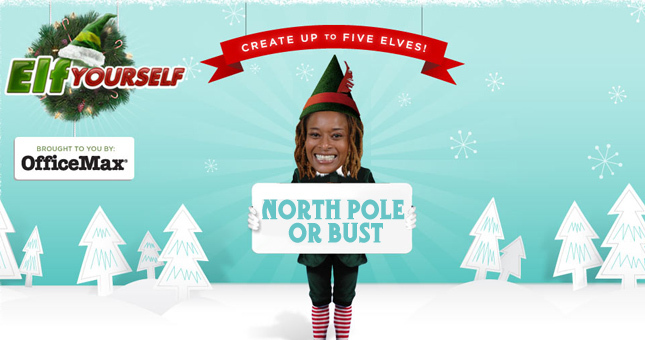 If you need instructions on downloading ElfYourself movies to save forever, check out our FAQ over here. Some people have expressed worry that JibJab.com is going offline. This is not the case! In fact we’ve got a big launch coming up next week. But as for the elves, you’ll have to say goodbye until their time comes again. We’ll miss the pointy eared buggers! This entry was written by paulhanges and posted on January 12, 2010 at 4:21 pm and filed under ElfYourself. Bookmark the permalink. Follow any comments here with the RSS feed for this post. Trackbacks are closed, but you can post a comment.